This structure is known as the Old Courthouse, but it's actually the new old courthouse. When Milwaukee County was split in 1846, the towns west of Milwaukee became what would someday be called Waukesha County. The county seat was chosen, Prairieville (as Waukesha was called then) was selected. Three lots of the new Prairieville plat were set aside for county buildings, and a courthouse was completed on this site in 1849. 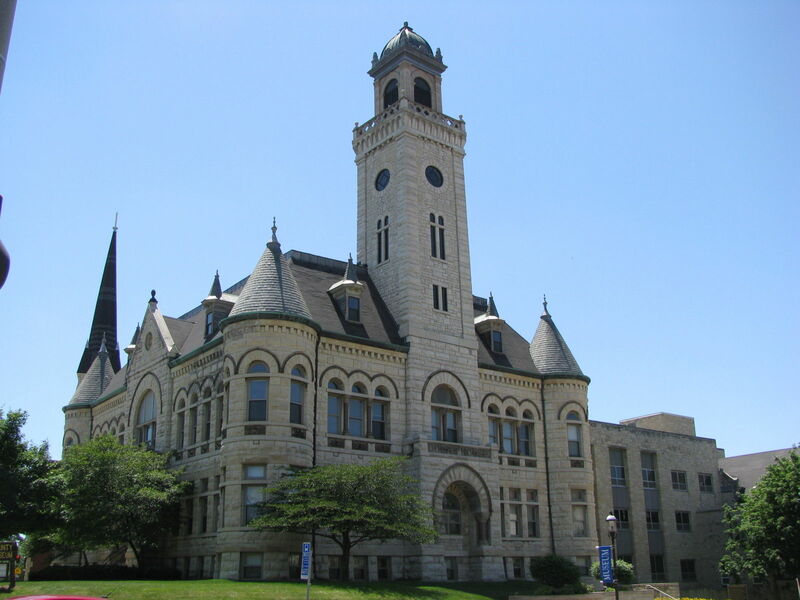 This is not that courthouse, this structure replaced the original courthouse in 1893.